Since it was first published in 1987, the story of thirteen-year-old Brian Robeson's survival following a plane crash has become a modern classic. 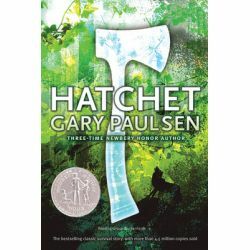 Stranded in the desolate wilderness, Brian uses his instincts and his hatchet to stay alive for fifty-four harrowing days. This handsome edition of the Newbery Honor book will be treasured by Hatchet fans as well as by readers encountering Brian's unforgettable story for the first time.